In a situation where you or a friend or family is suspected and detained it can be a really overwhelming predicament for everyone involved. Being arrested not only makes it impossible to work and see your family, it can make other everyday life routines hard. Don’t let being jailed get in the way of living your life, Indiana Bail Bonds can offer 24/7 bail services for you when you call our bail bondsman in Fairfield, IN. We are a recognized bail bonds company who provides supportive and prompt bail for individuals in need. It doesn’t make a difference what you have been charged with, our bail bond agents will treat you with the respect that you deserve and obtain your release in a timely manner. At Indiana Bail Bonds we recognize that this type of situation can be tough for you and your loved ones, so we will go the extra mile guaranteeing that we will obtain your release right away. Indiana Bail Bonds is open 24-hours a day, seven days a week and can travel to your location in order to procure your release from jail. It’s critical to have a bail bond agent that you are able to count on for support and experience if you are in a situation where you are in custody. From running you through the bail process to addressing your questions, our bail bond agents will be there with you each step of the way. We will be by your side through this whole process, ensuring you know what to anticipate and being there for you when you really need us. Get your bail bond services today and being the process with our bail bondsman in Fairfield, IN; Indiana Bail Bonds is just a telephone call away, so dial 317-423-9300 to get in contact with us. At Indiana Bail Bonds we are committed to helping our clients no matter what kind of charge they have, so we offer a variety of bail services that are sure to procure their release immediately. Whether you require jail release for a theft or domestic violence charge, we have bail that is able to secure your release. To discover more specifics about our bail bonds services, at the bottom are some of the services our bail bond company offers. Arrest Warrants If you have a warrant for your arrest and require urgent help, contact our bail bondsman to assist you in getting your warrant lifted. 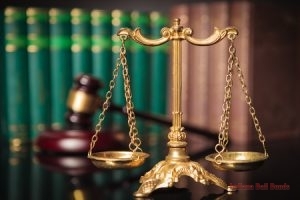 Bench Warrants Receive the professional help that you need for dependable and licensed services for your bench warrant. Domestic Violence Bail Bonds For individuals who have been charged with domestic violence, we can assist them in obtaining their release. Probation Violation Bail If you have violated your probation and want bail bond services, you can call Indiana Bail Bonds for probation violation bail. 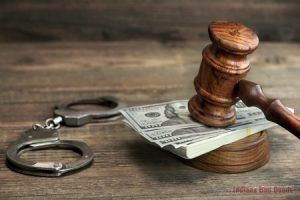 Theft Charge Bail From felony to misdemeanor theft, when you have been charged with theft, our bondsman can help get you released with theft bail. Dial 317-423-9300 anytime when you want to speak with a bail bondsman in Fairfield, IN about our bail bond services. 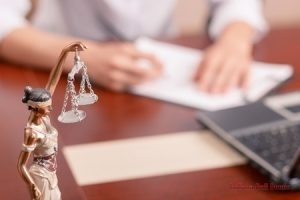 Since a felony is the highest classification of crime you can be accused of, you will require a professional bail agent to assist you in getting released from jail. At our bail company, our bail agents can help you with felony bail service, no matter what type of offence you have been suspected of. A charge for a felony is frightening and overwhelming, but our bondsman work work with you closely to ensure you know the bail bonds process and what to anticipate. Give our bail bondsman in Fairfield, IN a ring at 317-423-9300 to procure your release from custody with felony bail. If you, a family member, or friend has been arrested with a misdemeanor, it’s essential to get released from custody immediately. Let our bail bondsman in Fairfield, IN make the process faster and get your release from custody right away with our reliable and affordable misdemeanor bail bonds. Getting jailed is overwhelming and needs the help of a professional, and with the assistance of our skilled bail bond agents, we can make this situation a lot smoother for you. To obtain your release from jail, call our bail bonds company at 317-423-9300 today to get out of jail with our misdemeanor bail. There are times when the only type of bail that is able to secure your release from jail is a surety bond.In some instances, surety bail bonds will be the only type of bail bond you can use to be released from custody. Based on the offense, surety only bail bonds can be really costly. With our bail bonds company’s surety bail bonds service, our our bail bondsman can obtain the release of you or a loved one fas. If you want our bail bondsman in Fairfield, IN to give you more information about our surety bail bond process, just contact our staff at 317-423-9300 for extra information. Kinds of offenses and where specific violations are committed really determine what type of bail bond a person can be eligible for. State and federal bail bonds, for example, must be used when an individual is arrested for violating a state of federal law. When you want a state or federal bail bond to obtain your release, our bail bond company is here for you. 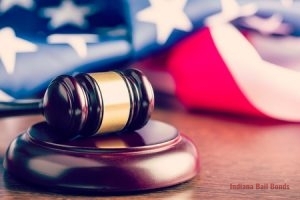 Federal Bonds At Indiana Bail Bonds, our bail bond agents can help individuals who have a federal offense. State Bonds Receive qualified and reliable state bail bonds today by contacting our bail bond company today. When you need assistance with your state or federal bail bond process, just dial 317-423-9300 to talk with a bail bondsman in Fairfield, IN now. Regardless if you have been charged with possession of unlawful substances or you were charged with a DUI, the bondsman at our bail bond company can offer you with DUI and drug bail bonds service. 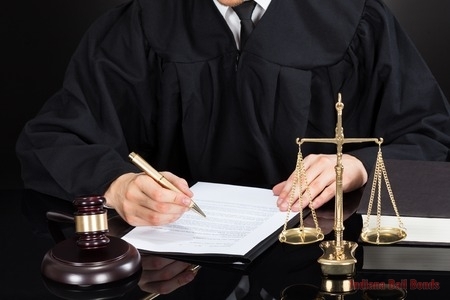 On top of bail bonds services for drug and alcohol associated offenses, we even provide weapons violation bail bonds for people who have been arrested for a weapons crime. Drug Charge Bail Bonds Have you been charged with possessing, distributing, or manufacturing unlawful drugs? Call our bail bonds company now! DUI Bail Bonds For individuals who need bail for a DUI arrest, contact Our bail agents today. Weapons Violation Bail Bonds With our bail for weapons violations, our bail bondsman will help you get through the process promptly. our bail company is available to help you with your drug, DUI, and weapons violation bail bonds, so for our professional help dial 317-423-9300 to talk to one of our bail bondsman in Fairfield, IN. Arrests can happen at the most inconvenient times, but particularly when something urgent happens to you. A certified bail bondsman in Fairfield, IN can help you whenever you are in a situation where you need out of custody immediately. At our bail company we have emergency bail bonds service for this particular circumstances. Our kind and knowledgeable staff is able to take care of you or someone you love with our 24-hours a day, seven days a week bail services, no matter the offense. If you need emergency bail service now, don’t wait to call our bail bondsman in Fairfield, IN at 317-423-9300.